Yesterday, the Pulitzer Prize Board announced an impressive list of 13 prize winners and 29 finalists for excellent work in journalism and storytelling. These winners represent a wide array of incredible stories, such as The Los Angeles Times's multi-part series about government corruption in the small town of Bell, California, or The New Jersey Star Ledger's gripping tale of a mysterious boat wreck. We on the Google News team have nothing but respect and admiration for their fine work. Congratulations to all the winners and finalists. The winners also reflect the rapidly changing and evolving world of journalism itself. Almost all the awards went to stories accompanied by a rich presentation of content beyond just the printed words. ProPublica's series "The Wall Street Money Machine" includes detailed timelines and succinct data visualization to better illustrate the troublesome financial practices that led to the economic meltdown. To tell the story of one family's struggle to find a cure for their son's rare medical condition, The Milwaukee Journal Sentinel produced numerous videos and an interactive graphics detailing the mysterious disease's physiology. This year, prize rules explicitly encouraged the use of visual information, multimedia or databases. In fact, for the first time in the Prize’s history, jurors were mandated to bring laptops to the judging. This isn't the first rule update in the prizes' 95 years of history. For instance, nobody has won the Pulitzer Prize for Telegraphic Reporting since 1947. One recipient of the short-lived award was James Reston of The New York Times for his reporting from the 1945 Dumbarton Oaks Conference, a meeting between Allied Forces that laid the initial groundwork for the UN. Much of his reporting came from the acquisition of leaked cables from unsuspecting diplomats. Though reporting technology certainly has changed, this incident doesn’t sound so antiquated these days. You can read one part of Reston's series here in Google News Archives as it appeared in The Montreal Gazette. 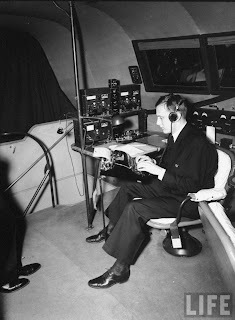 In expanding the short-lived category of Telegraphic Reporting to National Reporting and International Reporting, the Pulitzer Board must have suspected that technology for communicating over long distances would inevitably evolve. This year's prizes better reflect our current media environment, but it makes me wonder what the best in journalism will look like fifty years from now. To search for the recent work of this year's Pulitizer Prize winner, you can use the Advanced News Search feature. Enter the name of the journalist whose work you're looking for in the "Author" field of our Advanced News Search page, or use the [author:] search operator in the News search bar. For an example of an [author:] search and to see the recent work of this year's Pulitzer Prize winner for distinguished criticism, click here.